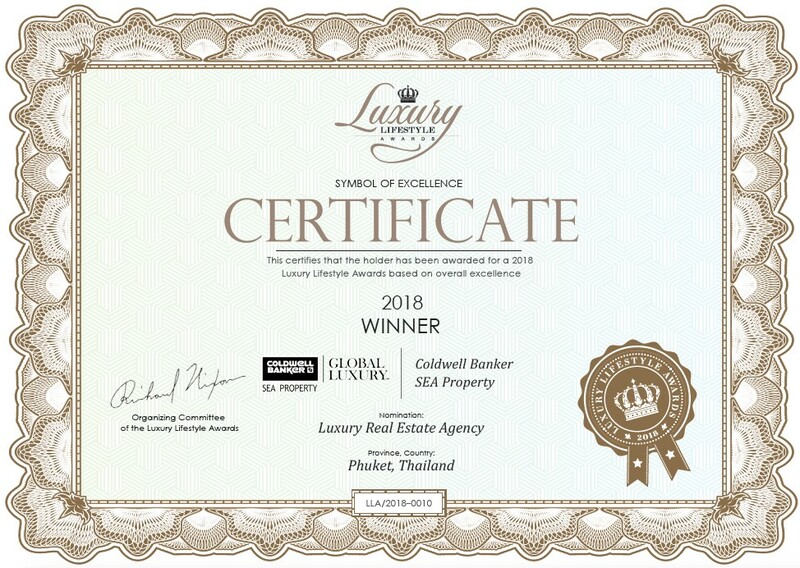 Coldwell Banker Phuket celebrates its victory in the category of Luxury Real Estate Agency in Phuket. This milestone is achieved as Coldwell Banker Phuket has been recognized by a trusted board of judges via a thorough selection process. The jury of the internationally acclaimed awards consists of chief executives and top managers of the leading luxury companies, business analysts and consultants, chief editors of international media and other reputable experts. All members are selected for their global expert opinion and valuable practical experience. Whether it is a decision to relocate into a paradise setting, buy a unique land plot, or simply go on a nice vacation, Coldwell Banker Phuket can help you easily navigate through it all. Thailand oozes relaxation and serenity, that is why having a reliable partner in real estate is crucial. Coldwell Banker Phuket is a trusted global brand that can be enjoyed on the island since June 2017. The company offers a wide range of services, among which are luxury residential sales, short- and long-term rentals, investment advice, land sales, land banking and project management. The combination of excellent options, a highly professional team and global reach through the company’s extensive international network create an unforgettable and completely satisfying experience for their customers. So why wait for your dreams to come true, when you can take tangible steps towards their realization today? Enjoy the mesmerizing beauty of Thailand, while a trustworthy partner is taking care of the business. No matter your age, origin, taste, aim and lifestyle, Coldwell Banker Phuket will find a perfect match for your needs. Find out more in this interview of Norbert Witthinrich, Director of Coldwell Banker Phuket.